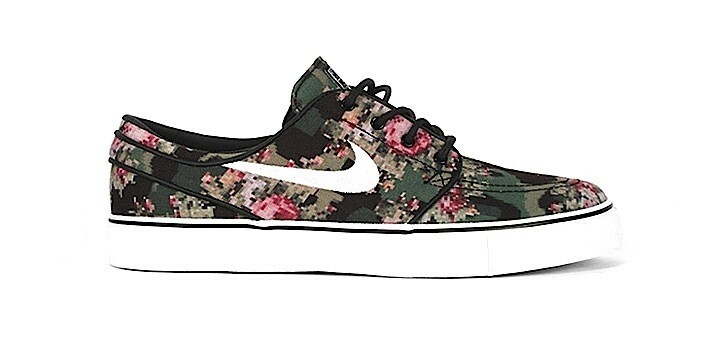 Combining floral patterns with the camouflage passion, Nike SB has realized a "Digital Floral" version of the famous pro model dedicated to Stefan Janoski. 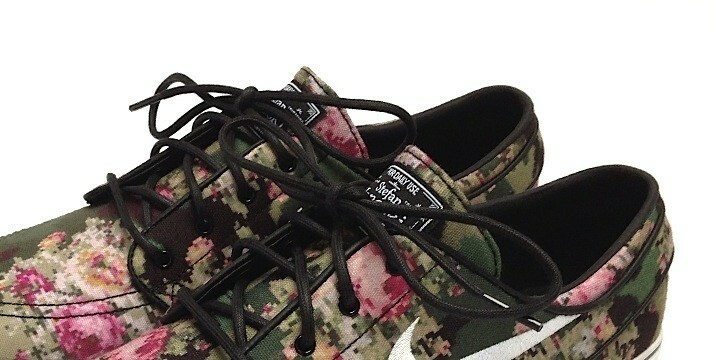 The digital-camo effect, which entirely covers the uppers, only contrasts with the white "Swoosh" and with the black thin line that defines the side panels. 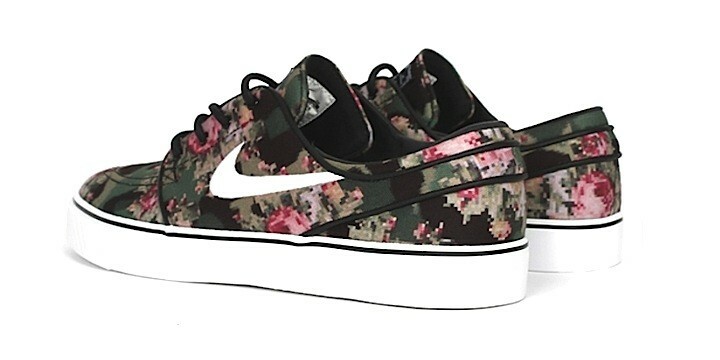 Leather laces, cotton canvas upper and rubber sole, finish this uniquely colored sneaker.